Rock stars rarely age well. The Rolling Stones are a case in point. Often called The Strolling Bones, and not without cause (! ), this once energetic and controversial sixties group was actually invited to perform during the Super Bowl halftime show only a few years ago. 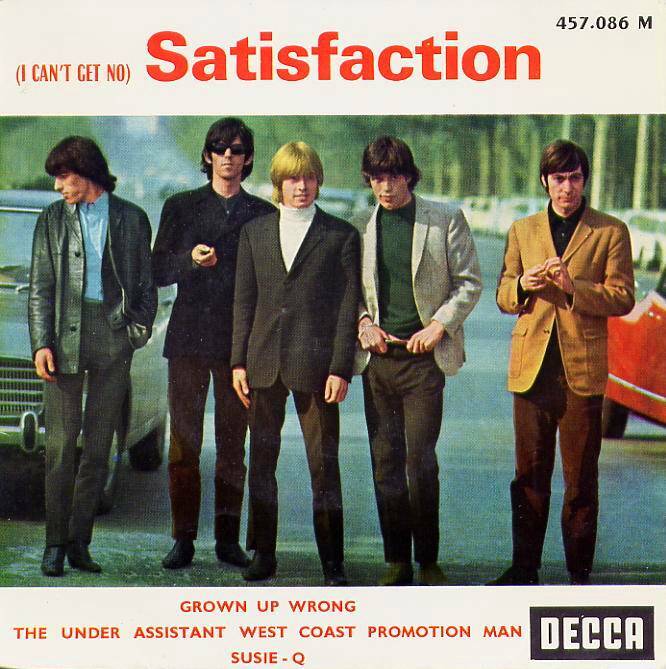 Of all their many hits, the one that lingers most in my memory is the grammatically torturous, “I Can’t Get No Satisfaction”! As I type it, Microsoft Word faithfully reminds me of its error with that annoying green squiggly line beneath the word “No”. What possible reason could I have for mentioning this rather pathetic attempt at musical entertainment? It came to mind as I read Psalm 16! Although the man who wrote this psalm was himself an accomplished musician and played skillfully the ancient equivalent of the modern guitar, he would never, ever have said that he couldn’t get any satisfaction! In spite of numerous setbacks and disappointments, recurring depression and political defeats, David was a profoundly satisfied man. Satisfied, that is, in God! “in you [God] I take refuge” (v. 1). “I say to the Lord, . . . I have no good apart from you” (v. 2). “The Lord is my chosen portion and my cup” (v. 5). “I bless the Lord who gives me counsel” (v. 7). “I have set the Lord always before me” (v.8). “because he is at my right hand, I shall not be shaken” (v. 8). “in your presence there is fullness of joy” (v. 11). “at your right hand are pleasures forevermore” (v. 11). David was unashamed of his longing for the Lord and unafraid to declare his utter dependence on God and God alone for the satisfaction his soul so passionately desired. Psalm 16:11 is my life verse. It encapsulates and expresses the glorious gospel of Christian Hedonism in a way that few other texts do. But I want to focus here on two other verses in this remarkable psalm. Look closely at v. 2 and v. 8. “I say to the Lord, ‘You are my Lord; I have no good apart from you'” (Ps. 16:2; consider also Ps. 73:25, where Asaph declares: “Whom have I in heaven but you? And there is nothing on earth that I desire besides you”). “I have set the Lord always before me; because he is at my right hand, I shall not be shaken” (Ps. 16:8). Haha this is awesome… I totally have thoughts like this pop in my head sometimes, everything mixes up all together… good lessons to be learned from it all!